Your dog is part of your family, so while in our care, they’re a part of ours. Release the Hounds is the first and only company offering GPS-tracked off-leash and GPS private walks. By taking safety to a new level, we’ve ensured your dog is secure while having an incredible time with their furry buddies. We also offer a range of Surrey dog walking services for dogs to get the socialization and exercise they need. Our Surrey dog walker Kathleen O’Halloran takes a group of pups daily to the gorgeous trails of Dogwood Park and the beautiful 40 North Park Reserve in Delta while ensuring them a fun and safe adventure. We have also partnered with local veterinary clinic South Point Pet Hospital and are affiliated with experienced dog trainer Monika Herzig to provide the best possible whole-dog care in the dog walking industry. For services specific to Surrey and White Rock, check out our rates to find something suitable both for your dog, and your schedule. And for more about our community connections, visit the BC SPCA Surrey Branch. Meet Kathleen, Your Surrey Dog Walker…..
At Release the Hounds, all of our team members are dog-loving and skilled handlers, providing the best dog walking possible with the utmost reliability and professionalism. Kathleen was born and raised in the lower mainland, and spent summers at her family cabin in the Cariboo. She has always surrounded herself with as many animals as possible by participating in equestrian sports, pet sitting, and working at horse stables with her dogs, Clancy and Josie in tow. Kathleen recently returned from backpacking through Europe, and now she and Josie are excited to start their next adventure with Release the Hounds in Surrey. Your dog will enjoy plenty of GPS-tracked trailblazing along the lush trails of Surrey and White Rock in Dogwood Park and the 40 North Park Reserve of Delta during the 1 Hour Urban Exploration. We will ensure your energetic dog will burn off their extra energy in a fun and safe environment. And as the first and only company to offer GPS tracking for off-leash dogs and for our private GPS tracked walks, you’ll receive an after the walk summary email as well. Our dog walks are available Monday to Friday and, depending on your geographic location, are available in both in the morning and afternoon. Morning Urban hikes: pick-ups begin between 8:30am – 10:30am. Drop-offs between 11:30 – 1:30pm. Afternoon Urban hikes: pick-ups begin between 11:30am – 1:30pm. Drop-offs between 2:30 – 4:30pm. We know you love walking your dog as much as we do, so we’ve compiled a list of all the wonderful dog parks in the Surrey – White Rock area for some outdoor bonding sessions. Enjoy! Description: Blackie Spit also has a fully fenced dog off-leash area, featuring a mixed terrain of grass, gravel and sand. The off-leash area is east of the main parking lot at McBride Avenue and Wickson Road, next to the tennis courts. Here, you'll find also a covered area for those rainy days when Rover still needs a run. Further to the north of the primary dog off-leash area, at the far north of the parking area, you'll find the Blackie Spit dog off-leash beach. This area of the beach is fully fenced in with a shoreline to explore and a swimming area for dogs. See the Dog Off Leash Area & Swimming Beach Map to see where to take Rover. Remember to use a leash when traveling between the main dog off-leash area and the beach area. Description: Dogwood Park is located along 20 Avenue in Surrey. The park is a part of a larger linear park system that includes Chantrell Park to the east and Bridlewood Park and Huntington Park to the west. The linear system is a natural extension of the Sunnyside Acres Urban Forest. Dogwood Park is mainly a natural area. Find walking trails through the forest, connecting to another larger trail system, that continues through Chantrell and Bridlewood Park. There is also a dog off-leash area in the southern portion of the park. Description: Tynehead Regional Park is owned and maintained by Metro Vancouver. The park is 260 hectares of meadow and forest on the banks of the Serpentine River headwaters in Guildford. This park has a lot of wildlife, and is a habitat for owls, hawks and coyotes. The headwaters of the Serpentine River are spawning and rearing habitats for trout and salmon. The various trails and viewing platforms within the park offer great viewing for spawning salmon in October through December. Visit the Tynehead Hatchery, operated by the Serpentine Enhancement Society, and learn about the salmon of the Serpentine River and their efforts enhance the ecology of the river. The park is an ideal place for a family day out, with picnic tables, the Tynehead Fish Hatchery and Butterfly Garden. The nature trails around the park are spectacular. Allow 40 minutes or more, depending on the trail you choose. Group campsites are also available for school outings, guide camps or special events, and can be booked through the Metro Vancouver website. Within Tynehead Regional Park you will find a 2.5 hectare (6 acre) dog off-leash area, accessible from the 168 Street parking lot, or a connecting pathway from the 96 Avenue (hatchery) parking lot. If you live in Fraser Heights, you can also access the off-leash area from the Tynehead pedestrian overpass which crosses Hwy 1 at 168 Street. The Tynehead dog off-leash area offers a range of open space for open running and play, as well as a 750m off-leash pathway ideal for jogging with your dog. There are some on-leash paths that connect with the off-leash area, so keep an eye out for signs which indicate when to get the leash on. Please note that all Surrey – White Rock off-leash dog parks require dogs to be well behaved, have a current license, be leashed outside of off-leash areas, and their owners must clean up after them; no exceptions. Did we miss your favourite Surrey – White Rock dog park? Please email us with the park name, location, and a brief description, and we’ll add it to our list. The qualified and compassionate staff of South Surrey Veterinary Hospital make improving the lives of their furry clients a priority through medical and surgical care, as well as dentistry and radiology. South Surrey Veterinary Hospital proudly is the most reviewed and recommend hospital in the area. The mission of the South Point Pet Hospital is to provide exceptional, quality veterinary care to your pets in a compassionate, comfortable and caring environment. 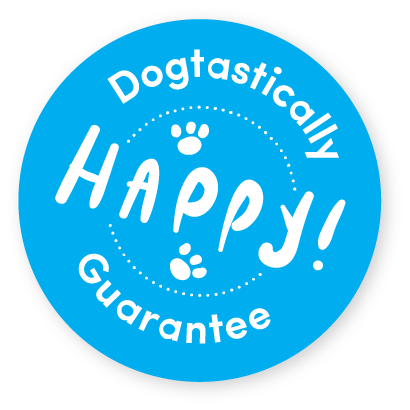 They strive to provide strong support and education to pet owners to ensure long, happy and healthy lives for their furry family members. South Point does an excellent job of establishing a strong, long-term relationship with our pets and their families by providing preventative care. Monika has been working with dogs for over 10 years before launching Funtastic K9. She is a certified Canine Behaviour Consultant and Trainer. Monika is always exploring new techniques and methods to be able to offer a tailor-made solution specific to the dog and owners needs. The BC SPCA’s Surrey Branch aims to protect and enhance the quality of life for animals of all kinds in our community. Their Surrey Education and Adoption Center is always in need of volunteer hours and donations. Check out their website for ways you can support and upcoming events.